The iRV2.com International Rally "Team" is pleased to announce that we made a difference in the Community where we travelled. Our focus over the past few years was to bring our members together, for a common purpose and in some way benefit the people where we have chosen to recreate. 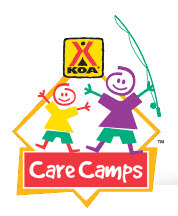 This year we chose to make a difference in the lives of child cancer survivors via the KOA Care Camps organization. I take pleasure in releasing a letter of appreciation from the director of KOA Care Camps and on a personal note, thank you to all the 2015 International Rally attendees who made this possible. We wish to extend our sincere thanks to iRV2.com for their generous donation of $1,080 to help us send kids with cancer to camp. This year we funded 112 cancer camps across North America and distributed $1 million in operational and capital support to ensure their programs were a success. While at camp the kids have the opportunity to enjoy exciting outdoor activities in a safe and supportive environment, while still receiving any necessary medical treatments. Each camp has volunteer doctors and nurses available to administer the treatment programs so the kids can enjoy their stay without having to leave camp for treatments when they are having so much fun. Many of our camps not only serve the sick child but also support siblings and family members who are also impacted by this horrible disease. Some of our camps have their own facilities and some rent space. Other camps offer day programs for younger children (2-5), in hospital programs for those too sick to leave or bereavement and survivor camps. History has proven that many of the children who benefit from their experiences at camp returning year after year and not only become camp counselors but return as adult volunteers and donors. Thank you from the bottom of our hearts for your generous support and for making a difference in the lives of these special children. For a more informative overview, please click on the YouTube link below which will show you the care that these children receive. How nice of Karen to have sent that. Thanks for sharing!